The University’s Special Collections and Archives is taking part in an exciting project designed to commemorate the centenary of the Armistice, and they would like to invite you to take part. ‘The Diaries of the Here and Now’ has been developed by artist Dawn Cole, and will record 11th November 2018, and give a snapshot into the lives of the people who take part in the remembrance of the centenary of Armistice Day. If you are interested in remembrance, you may also be interested in the Commonwealth War Graves Foundation project to create a digital archive of the First World War artefacts stored in bedrooms and attics across the UK. The Commonwealth War Graves Foundation is working in collaboration with Oxford University to create a digital archive of the First World War artefacts stored in bedrooms and attics across the UK. Funded by the Heritage Lottery Fund, they will be staging events across the UK, encouraging people to bring along their family heirlooms to be included in the project. As well as hosting four major Roadshow events, they aim to help support local events across the country. However, they cannot do this without a team of dedicated volunteers who will help them host and support these events. If you are interested in hosting your own collection day in your community, the Foundation can provide support and training from the planning to the wrap-up of an event. If you aren’t able to host your own event, but would still like to be involved, then you can sign up as a project volunteer. The Foundation will let you know of events happening near you, and you can help out in a variety of roles, from interviewing visitors to record their First World War stories to photographing the objects they bring in. Hosting an event in your local area is a great public engagement opportunity and provides an opportunity to engage with primary source material in understanding the way that the First World War has been interpreted and remembered by subsequent generations, as well as contributing to a national, publicly accessible archive project. If you are interested in volunteering, fill out the ‘Expression of Interest’ form at the bottom of the page and send it to volunteers@cwgc.org You can also use that email address if you have any questions about this project. You are cordially invited to this year’s London Museums of Health and Medicine Open Day at 2pm-5pm, 27th October at the British Dental Association. Hosted by the British Dental Association Museum, the day will be packed with exciting events and activities from more than 10 of London’s best medical museums, including the Science Museum, the Wellcome Collection and the Old Operating Theatre. Admission to the Open Day is FREE. For more information, visit: www.bda.org/museum/exhibitions-and-events. The day also includes a performance of ‘The Dentist Will See You Now’. This is a dramatic reconstruction of a lecture by a school dentist in 1910, demonstrating how Edwardian dentists viewed standards of mouth hygiene and cleanliness. The event involves some audience participation! Suitable for ages 7+. Use the Eventbrite page on the website to book for ‘The Dentist Will See You Now’ or contact Dr Claire L. Jones for more information (c.l.jones-26@kent.ac.uk). The School has an exciting opportunity to get involved in a national project showcasing the history of the Age of Revolutions. As part of the national Age of Revolutions project, the University’s team are organising an exhibition at the Studio 3 Gallery on campus entitled ‘Beyond the Barricade’ (Sept-Nov 2018) that looks at the art of revolution. Part of this exhibition will document historic revolutionary activity in Canterbury and Kent, and Dr Ben Marsh, the project’s organiser, would like to invite anyone interested to contribute to this effort. The team are looking for any volunteers to help contribute to a short section of the pamphlet that will accompany the exhibition, presenting the history of riots and protests in our local area. This will involve working with the Special Collections team in the Library and the Cathedral Archives and Library over the next six weeks. This is an excellent opportunity for anyone interested in expanding their experience of archival research, and to contribute to a national historic project that is expanding the public’s knowledge of our revolutionary and rebellious past. If you are interested in taking part in this project, please contact Dr Marsh (B.J.Marsh@kent.ac.uk). The management team of the National Trust at Bodiam Castle in East Susses has advertised a unique opportunity for one or two students to enrich their knowledge and understanding of how museums or heritage bodies work. 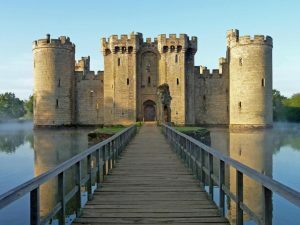 They are looking for students to become members of the Bodiam Advisory Committee, taking a role in decision-making about the Castle and experiencing first hand how the National Trust works with inherited bodies. Any student interested in a future within museums or heritage will gain enormous insights into the way heritage charities work with trustees and similar bodies. For example, they will gain first-hand understanding of the pressures to conserve and protect the built and landscape environments, whilst also raising necessary funds to carry out such work. The committee helps the National Trust protect the castle, given to the nation by Lord Curzon. Bodiam is a fascinating site, which, as well as being a fourteenth-century moated castle, includes within its landscape evidence of a key Neolithic, then Roman, then Medieval, cross roads; a Roman Fort; and evidence of medieval fish and Mill ponds. Its wharf area was once a thriving port and it is still possible to travel by boat to Bodiam Castle. If you are interested in this opportunity, please contact Dr Michele Moatt at Michele.Moatt@nationaltrust.org.uk with your CV and a statement of interest. 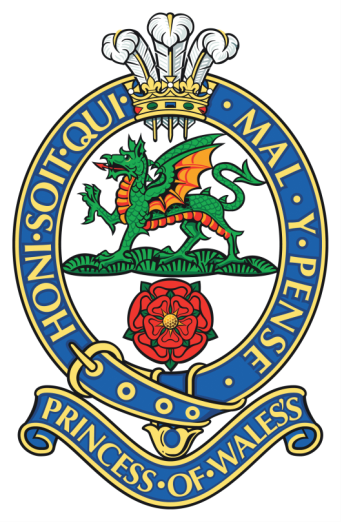 The Princess of Wales’ Royal Regiment and the Queen’s Regiment Museum – based inside Dover Castle – have several volunteering opportunities available, to work with their staff as a Collections Assistant or a Museum Assistant. These roles are excellent opportunities for any students interested in a career in the museums and heritage sector to gain some invaluable experience of working in a busy museum. Training will be provided, and travel costs to and from Dover Castle will be provided by the museum (applicants may also be eligible to receive funding from the University’s Experience of Work bursary scheme). For more information, download the role descriptions below. To apply, email the Assistant Curator, Catherine Holt, at pwrrqueensmuseum@btconnect.com. 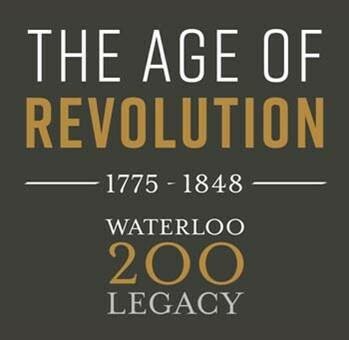 Dr Ben Marsh is currently looking for volunteers who are interested in taking part in the Age of Revolutions Project that will be running between 2017 and 2020. The University of Kent scheme will match student volunteers up with appropriate projects for their interests, skills, time availability, and ambitions, with the possibility of student placements (e.g. travelling to work in museums or archives for short periods), project work (e.g. 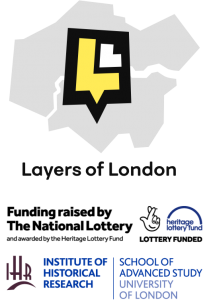 writing descriptive content or designing artwork for digital resources), and other activities supporting research or work with schools. We will be running a range of trips and workshops, including a discounted visit to Waterloo in February, and the first placements are expected to begin in Spring 2018 but opportunities will run through 2019. Attached is a call for volunteers, containing more information about the project, and a short application form which anyone interested should complete and return to Dr Marsh by Monday 13th November 2017. For more information, download this call for volunteers. To apply, complete application form and send it to Dr Marsh (either hand it in to the History Reception or scan and email it to B.J.Marsh@kent.ac.uk.